Your favorite Snickers only a fraction of the size. It comes unwrapped in a convenient pouch that is ideal for sharing. 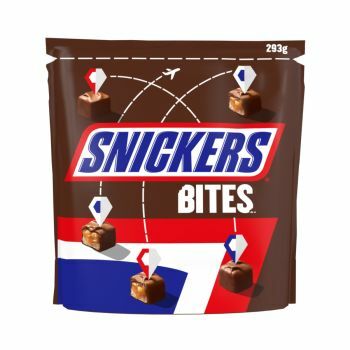 Snickers Bites comes in a re-sealable bag so you can save somefor later. Each piece is unwrapped to make it easier to share. With who will you share your Snickers Bites?